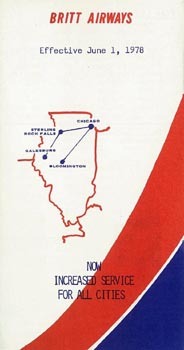 Britt Airways was formed to operate non-Allegheny Commuter routes. Sister company Britt Airlines operated for Allegheny Commuter. visit the Britt Airways page of Perry Sloan's "AirTimes" site.